Everyone has dry eyes sometimes. It might manifest as a scratchy sensation that makes you feel like there’s something stuck in your eye–annoying, but not serious enough that you’ll call your local eye doctor to see if there’s a problem. This type of irritation can be caused by a bevy of reasons such as medications, advancing age, autoimmune disorders, etc. 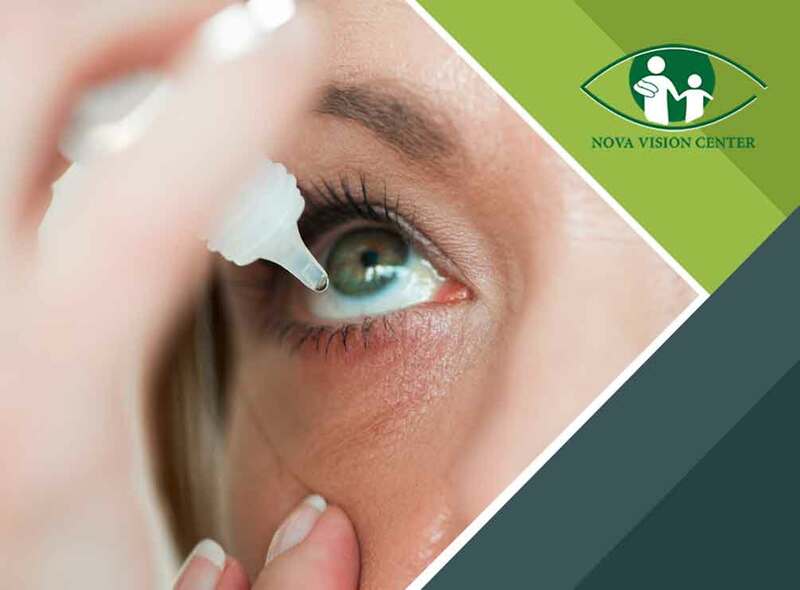 In this post, Nova Vision Center discusses dry eyes and how can you treat the condition. Prevalence – Dry eye syndrome is common during the colder months, since not only is the air dryer during the winter but you’re exposed to heated indoor environments most of the time. Bright Lights – Staring at bright objects for too long isn’t very good for the eyes. In fact staring at a screen, a phone or a light for too long causes the tear film to break down too quickly, leading to dry eyes. Laser Surgery – Laser eye surgery can temporarily cause dry eyes. Quick Fixes – Dry eyes may be an inflammatory process, so one way to rectify the condition is with omega-3 and fish oil supplements. Staying hydrated and using warm compresses can also help. It’s best to consult your optometrist to see what other options are recommended. Gender Causes – Women are more likely to develop dry eyes due to the hormonal changes that can be caused by pregnancy, oral contraceptives and menopause. There are various treatment options for dry eyes, most of which involve medications. You can change the medication you’re currently taking, which may be the cause of your dry eye. If your dry eye syndrome is mild, you can simply buy artificial teardrops over the counter or speak with your optometrist if you need a prescription. Another way to treat dry eye is by changing your environment or lifestyle. For example, cut back on your screen time for a bit to replenish your tears. Wear sunglasses on hot, dry days as well to protect your eyes, and if you have a smoking habit, try to quit. If you have any concerns regarding your eyes, don’t hesitate to turn to Nova Vision Center. We are your leading provider of contact lenses and quality eye health services. Give us a call at (703) 291-0080. We serve clients in Alexandria, VA, and nearby areas.